The following terms and conditions apply to members of Echidna Sewing Platinum Club and members approved for Echidna Sewing Trade pricing. These terms cover membership eligibility, pricing and the acquisition, accumulation and use of member rewards points. Platinum Club rewards points are earned on every transaction with Echidna Sewing while you have a current Platinum Club or Trade membership. You will earn a base rate of 1 point for every $1 dollar spent directly with Echidna Sewing either online, in-store or via phone, excluding shipping costs. To earn points you must either present your Platinum Card at the time of purchase or order online using your registered email address. From time-to-time promotions may be offered with higher earn rates. You can earn points on eligible purchases immediately; however any purchases made prior to you becoming a Platinum Club member will not be eligible for rewards points. Platinum Club membership should be purchased as the only item in a transaction. 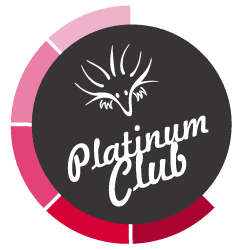 Items purchased together with a Platinum Club membership on the same transaction may not earn rewards points or receive the Platinum discounted price. You can view your points balance and transaction history through your online account. You are responsible for all activity on your account, so please keep your login and password confidential. Rewards points can be redeemed at a rate of 100 points giving a $1 order discount. Rewards points are not transferrable and cannot be redeemed or exchanged for cash. Any points earned on a transaction which is later credited or refunded will be subtracted from your balance. Unredeemed points expire 365 days after they are earned. If your Platinum Club or Trade membership expires, all unredeemed points also immediately expire. 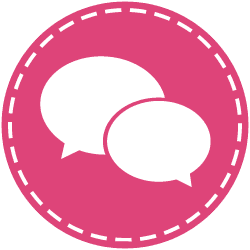 We reserve the right to terminate your Platinum membership and revoke all earned rewards points if we believe that you have engaged in fraudulent or unlawful activity or failed to comply with these Terms and Conditions. We may discontinue our Rewards Program at any time in our sole discretion with no liability to you. If we do so, we'll publish a notice on our website and/or email you to let you know. We may change the Rewards Program (including the number of points earned per $1 spent and how points are redeemed) and these Terms and Conditions at any time, or add new terms or conditions. If we do so, we'll publish an updated version on our website. Your continued participation in our rewards program will constitute your acceptance of such changes. Congratulations to our winner S. Dousset from Picnic Point NSW who received a $2,000 Echidna gift voucher! Winners will be notified by phone/email within two (2) business days of the draw. The winners will have their details published at https://www.echidnasewing.com.au/terms_of_use on 27/06/2018.